Venture to warm burrows of the common Hedgehog with this ‘Wildlife’ fine bone china mug from artist Richard Partis, offering the most tranquil of settings for your morning cup of tea. 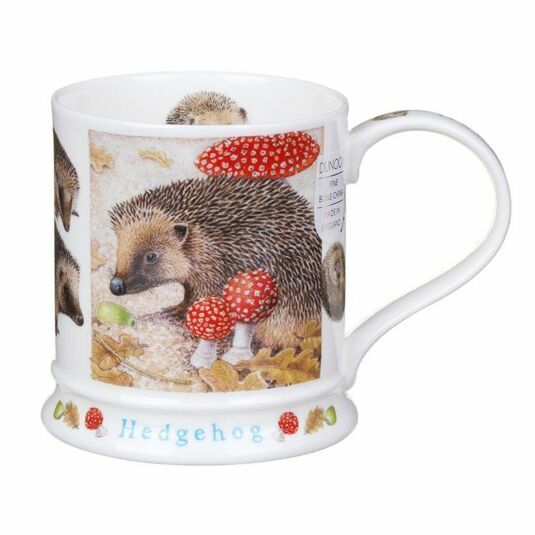 A pure white backdrop coats this Iona shaped mug as an illustration of a curious looking Hedgehog, trekking through the leaf-filled undergrowth is found surrounded by red and white spotted mushrooms. 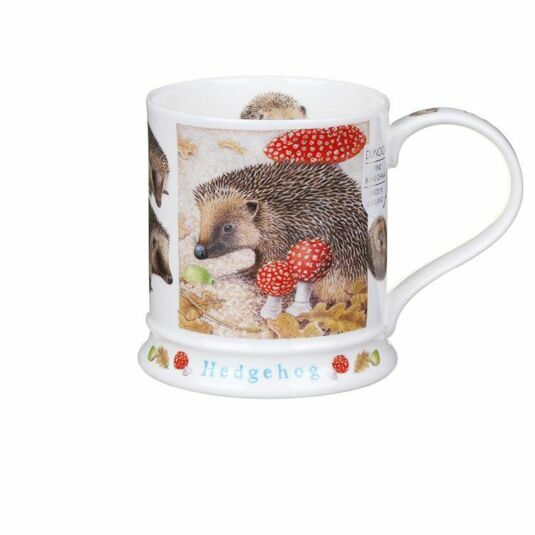 Visons of further Hedgehogs surround this central image against the white background as the word ‘Hedgehog’ is painted across the bottom rim of the tankard mug and detailed with various countryside elements. Further curious creatures line the handle of the mug, alongside the animals name, as an baby Hedgehog is found on the inside rim.